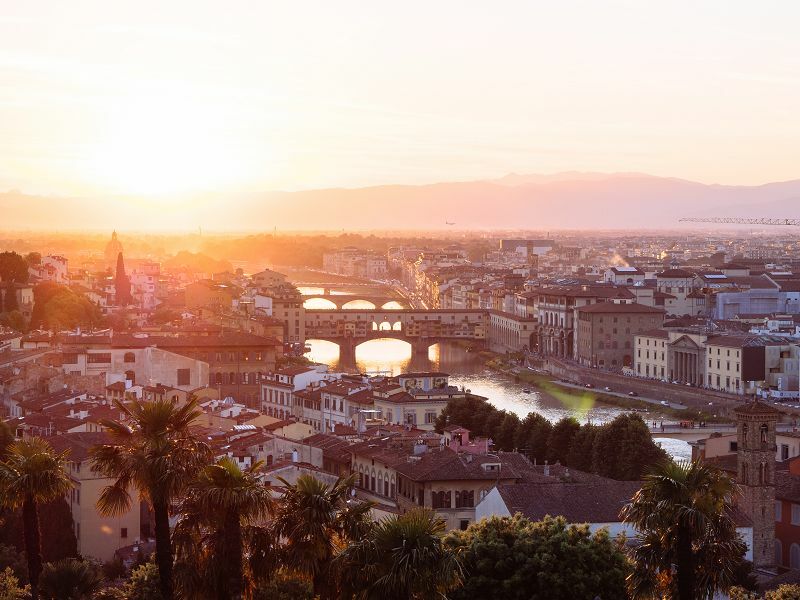 Sixt has convenient two locations where you can rent a car in Florence. Enjoy this beautiful Italian city and its surroundings to the fullest with the means to move about independently. We offer a large selection of luxury and economy rental cars at affordable rates to meet your mobility needs. Whatever kind of trip you have planned we have the right car rental in Florence to accommodate your budget and travels. Fly in and continue your journey seamlessly from our Florence Airport branch or arrange to pick up a premium rental vehicle from our Florence Downtown location. Whether it's a weekend away or celebrating a special occasion with a trip to Tuscany let us help you have the ideal trip with a dream car. Choose from our two branches depending on how you arrive in Florence. If you need more flexibility with your travel plans then consider renting a car at Florence Airport. There you can take advantage of our 24 hour vehicle returns that makes it easy for anyone with an early or late flight. Once you decide which branch you want to rent a car from you can easily reserve online or in the Sixt app. Please note we can only guarantee you to receive a vehicle in your selected car category as specific models are subject to availability at each Florence car rental location. This is an ideal city to visit in the winter because of the number of museums and other things to do indoors. Temperatures can be in the low 50s during the day but can also hover just above freezing. Take advantage of the fact that there are fewer tourists and visit the museums like the Uffizi Gallery, the Bargello National Museum and more. In the weeks leading up to Christmas you will find outdoor markets and nativity scenes like the one at the Duomo. Visit the German-style Christmas market at the Piazza di Santa Croce and then go ice skating outside at the Parterre. The city is known for its thick hot chocolate and soups, so try one of these to warm up. If the weather is good you can go to the Piazzale Michelangelo for a panoramic view of Florence. Because of the narrow streets and lack of parking, renting a compact or mini car is a good idea when visiting. 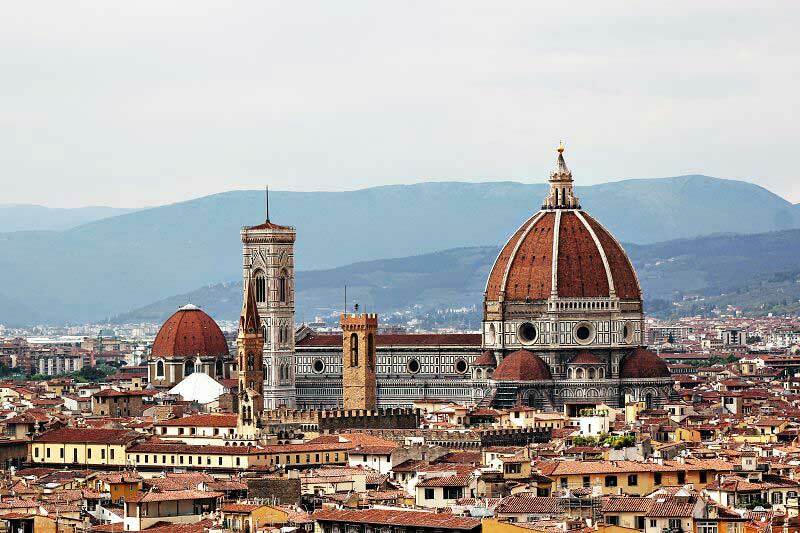 A rent a car in Florence can help set your own schedule and see the sights at your own pace. Browse our up-to-date fleet and choose your Florence car rental from our array of top quality compact cars, sedans, sports cars, convertibles, and SUVs. We also offer great deals on numerous extras to help you have an optimal drive. Enhance your rental car with an additional driver, a GPS, a child seat, protection coverages and more when booking ahead online or over the phone. Please note Sixt can only guarantee your reservation for the car category as specific models are subject to availability at our Sixt rent a car Florence branches. The center of Florence is closed to through-traffic and is known as the Zona Traffico Limitato (ZTL), which is divided into five subsections. Only buses, taxis and local residents with special permits can enter during all hours, while cars without permits are allowed in only before 7:30 am and after 7:30pm. During the summer months when more tourists are present typically brings even more restrictions to entering the ZTL. The ZTL is strictly enforced and if you enter illegally you will be subject to fines. Parking in the ZTL is also not possible although if staying at a hotel in the zone you may be able to arrange a 30 minute exemption. However, having a rental car in Florence opens up your trip to all kinds of excursions outside the city. You have the chance to take scenic rides in the amazing Italian countryside and visit other nearby destinations. Day trips can be made to stops along the free SGC Firenze- Pisa-Livorno motorway or you can take the toll road to the north of Tuscany and visit Lucca. The Autostrada del Sole, south toll road will take you to Arezzo. Heading to the wine producing region of Chianti to drive the back roads where every curve opens up to a new stunning vista is also highly recommended. The Chiantigiana Road, or SR222, is one of the best routes to fully experience this landscape. Florence is known for being one of the most beautiful cities in Europe and it is full of splendid attractions. The birthplace of the Italian Renaissance, it is home to wonderful, world-famous art and architecture. It is home to over 80 museums and some of the most famous art galleries in the world such as the Uffizi and Pitti Palace. Sculputure is also a core part of Florence's treasures and the Bargello and Museums of the Works of the Duomo are host two of the finest collections. Visitors can marvel at masterpieces by the likes of Donatello, Michelangelo, Verrochio and more. One of the most well-known works, Michelangelo's David, can be viewed at the Accademia. Florence also offers many opportunities to take in the city from above and have a chance to soak in all that you have seen. Head to the top of the dome of the Cathedral or make your way to the top of Giotto's Bell Tower, each offer a splendid overview. Although tourism is a huge part of the Florentine economy, manufacturing and commerce still play an important role. Clothing manufacturing has been a strong sector for a long time, with major companies like Gucci producing items in Florence. Food and wine are two other major players as the Chianti wine region is just south of the city. Big business and industry events are often hosted by Firenze Fiera Congress and Exhibition Center.